It’s the start of a new school year in most parts of the country, and that means getting back into the swing of a routine after the lazy summer months. 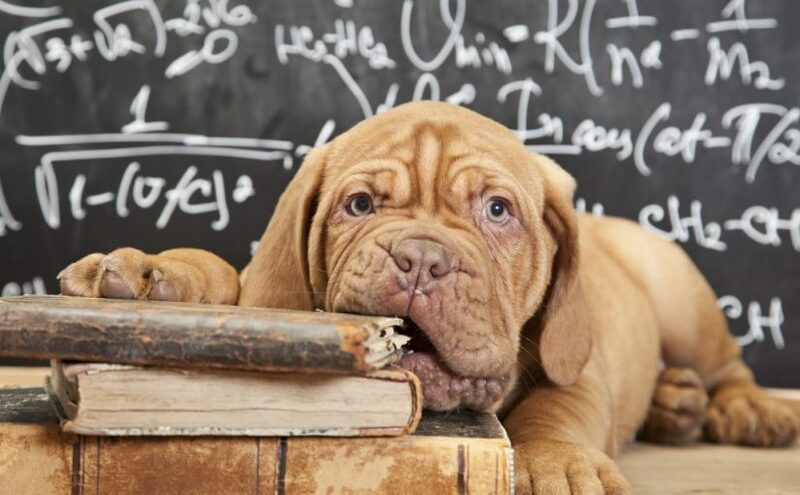 As your kids head back to school, should you be thinking about sending your puppy or dog to obedience training? Obedience training can help turn around problematic behaviors provide an opportunity for puppies to learn good behavior from an early age. No dog is too old or too young to benefit from a class or one-on-one work. You might think that you can do all of the training your dog needs on your own. However, that might not always be the case. Trainers are professionals for a reason — they know how to handle almost any canine personality that comes their way. Training classes also provide a great opportunity for your dog to socialize and learn by example from other dogs, not just from the trainer alone. And, you might even make some new friends to boot. You can keep the training group camaradiere going by scheduling play dates at your local dog park. The biggest downside to obedience training is the cost associated with it. As the old saying goes, you get what you pay for. Good training is not cheap, but is usually a worthwhile investment. The other thing to keep in mind is that obedience training will not work for every dog. Some just will not respond well to forced instruction, whether in a group or individually. You should have a sense of this after your first few sessions with a trainer. Even if your dog does respond well to training, it might not get along with the other dogs in the class. Most instructors should be willing to let you and your dog observe a class before making the decision to enroll. If you decide to pursue obedience training, you can choose to have a trainer come to your home or send your dog to a class. Which scenario is best for your dog? The answer depends on your dog’s personality, and on your budget. Dogs that do not do well around other animals will benefit from some individual instruction up front. They can transition into a group setting as their skills become more refined. Make sure to let your pet sitter or dog walker know if your dog is on an obedience plan. We will do our best to stick to it and not introduce anything that will throw them off course.